At Sunrun, we strive to keep solar simple, affordable and understandable for all. That’s why we created this first-of-its-kind Utility Content Hub. 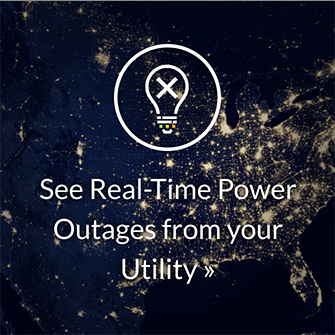 A one-stop resource to quickly learn about your utility Net Energy Metering (NEM) bill, Time-of-Use (TOU) rates, green initiatives, renewable services, and other relevant topics without having to fish for information in the dark corners of the web. Arizona Public Service Company is the largest and longest-serving electric company in Arizona. To date, APS delivers clean, safe, and reliable electricity to more than 2.7 million customers in 11 of the Arizona’s 15 counties — with an energy mix that is already 50% carbon-free. Pacific Gas and Electric Company is one of the largest power and natural gas distributors in the country, and they’ve been internationally recognized for their forward position on climate change. To date, PG&E serves more than 16 million residents in Northern and Central California. San Diego Gas & Electric is a regulated public electric company that is leading the way in renewable energy. To date, SDG&E provides energy services to 3.6 million residents through 1.4 million electric meters and almost 900,000 natural gas meters in San Diego and southern Orange counties. Southern California Edison is one of the nation’s largest electric companies and a leader in energy conservation and producing power from renewable sources like solar. To date, SCE supplies electricity to more than 15 million people across Central, Coastal, and Southern California. Consolidated Edison, Inc., commonly known as Con Edison or Con Ed, is one of the world’s largest energy delivery companies — and also the second largest solar producer in North America. To date, Con Ed delivers energy to over 10 million residents in New York City and Westchester County. As a solar customer, you may receive up to three different types of bills: one for your monthly utility service charges; a second bill for your monthly NEM charges and credits; and a third bill — often referred to as a True-Up Statement — for your yearly NEM charges, credits, and any final balance due. A solar battery storage system like Sunrun Brightbox™ lets you store surplus energy and use it when you need it most. Such as in the event of an outage or at nights — for up to 10 hours. * It also includes professional maintenance and monitoring for 20 years; two actions which could prolong your battery unit’s life. Yet, when you combine Brightbox with Time-of-Use (TOU) rates, you’re able to take your solar benefits even further.2 See, TOU rates are electricity prices set by utilities that change depending on the time of day, the day of the week, and the season you consume energy.3 But since Brightbox uses your stored power instead of drawing it from the grid, you’ll forget about following schedules, while offsetting your utility bills and saving money automatically. It’s no great secret embracing clean, reliable energy is critical if we are to tackle climate change. But did you know your utility has other ambitious initiatives, services, and programs that significantly improve the environment and your community's well-being? From electric vehicle incentives to green construction to habitat conservation plans, many utilities across the U.S. are making tremendous efforts to build a stronger, more conscious, and healthier generation of Americans. As Sunrunners, we will always celebrate smart and noble goals like these; because we believe empowering people also means empowering a greener, safer, and more resilient future for all. If You Haven’t Gone Solar Yet, Now’s a Perfect Time! Studies prove installing a home solar system is now more affordable than ever.4 Best of all, you have a wide array of solar plans to choose from, including leases, PPAs, loans, and upfront purchases. Besides, at Sunrun, you can start your solar journey for as little as $0 down. Take the first step and put a stop to an uncertain energy future. Start by requesting your free, customized quote today! Rest assured, our solar advisors are here to guide you every step of the way.